Belvedere Custom Homes set out to create a truly unique property with their ‘Westwood’ project – this project boasts a grand presence with it’s attention to detail and traditional appearance. 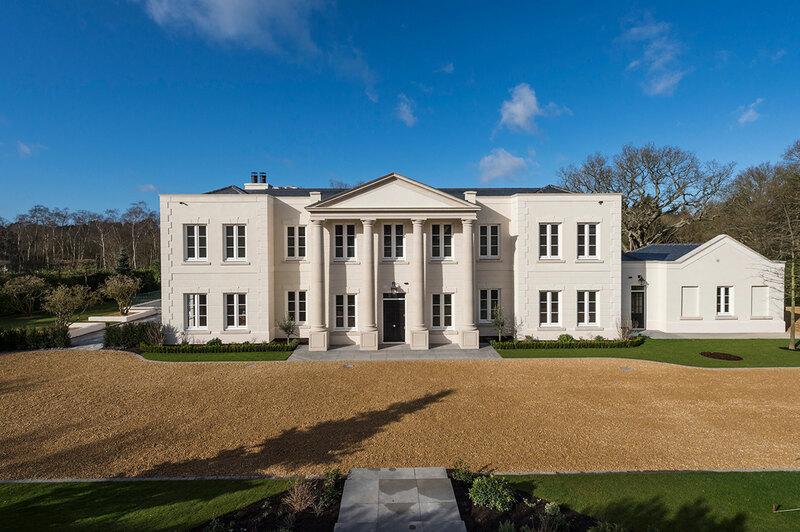 Located in one of the most sought after areas within the prestigious Wentworth estate, this multi-acre plot will boast gardens designed by Chelsea Flower Show gold medal winning Cool Gardens, secure gated vehicle compound including three garages and a unique Nash inspired 14,000 sq ft home. Monolith StonePlus was used as a lightweight solution where traditional stone was trickier to install, such features as quoins, heads, cills and window surrounds were produced to colour and style match the columns and other architectural detailing throughout the property.